Qarnot computing is proud to present the “Computing Buildings” project, which has recently been backed by the ERDF (European Regional Development Fund) managed by Paris region Ile de France, under the reference IF0011079. The project objective is to pursue the company development and represent the core strategy for 2017 to 2019. It consists in consolidate and extend the Q.ware platform which is used for computing job distribution over the QH-1 computing heaters according to temperature constraints. At the same time many components of the platform will be improved such as storage, scheduling or security among other features. Version 3 of our computing heater will also benefit from an extended work aiming at improving industrialization, maintenance to lower operational costs. Finally, an important focus will be achieved on the smart building capabilities of Qarnot’s solution, including managing sensors and associated data within a building context to build the smartness of the buidling. This part will be validated through demonstration activities applied elder people home care, retirement homes or senior hospitals. 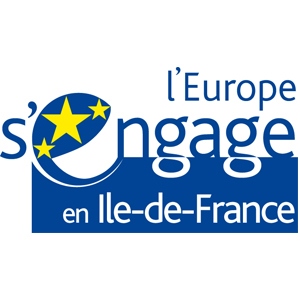 This project is co financed by Ile de France ERDF, under priority 6: reinforcing competitivity, within the 2016 call for proposals: “Support for RDI project covering S3 regional domains during feasibility, development and experimentation”.